A Ukrainian soldier was injured in the area of Avdiivka as a result of militants’ shelling in the Donbas region. Andriy Lysenko, the speaker of the Defense Ministry of the ATO made a relevant statement during the briefing. “We have no dead soldiers among the Armed Forces of Ukraine personnel. One soldier was wounded not far from Avdiivka. He was promptly evacuated to a military mobile hospital,” Lysenko said. According to the information provided, the militants use the weapons that are prohibited under Minsk Agreement, on certain sections of the front. The invaders fired a 120-mm mortar and multiple rocket launcher systems Grad, in particular. Over the past day along the entire contact line the enemy held 15 shelling of the Armed Forces positions, 12 of them were targeted, according to the message. 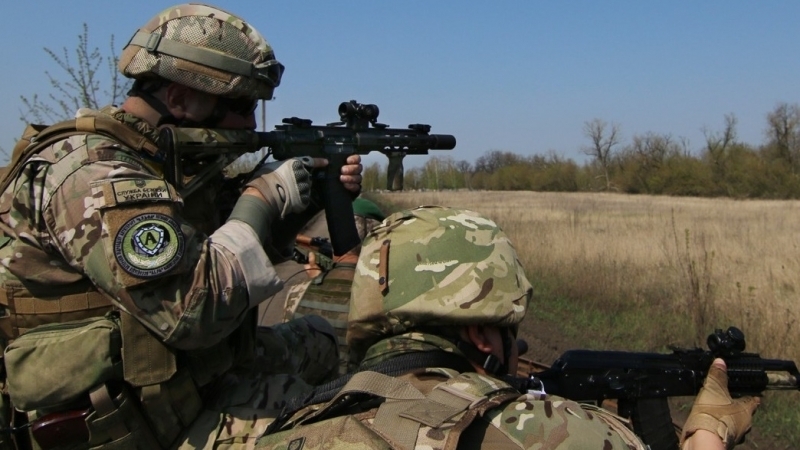 Reportedly, in nine of the cases Ukrainian servicemen were forced to open small arms and grenade launchers fire. Earlier, October 24th, four Ukrainian soldiers were killed, as a result of the militants shelling in the area of the anti-terrorist operation in the Donbas.